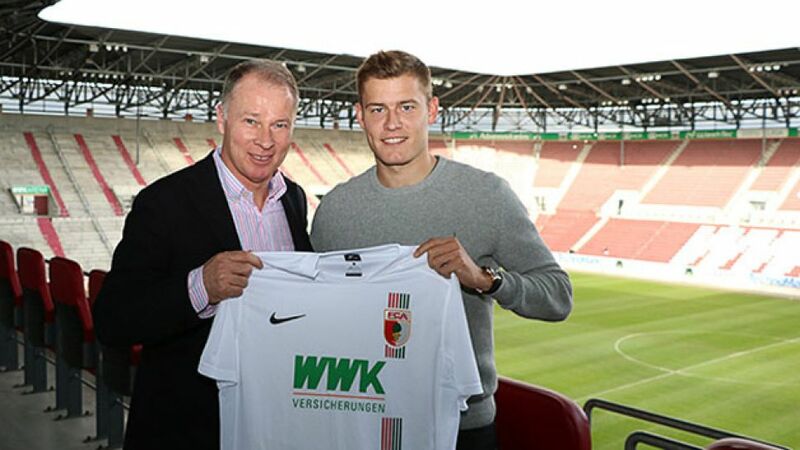 FC Augsburg have bolstered their attacking options for the second half of the season with the signing of Alfred Finnbogason on loan until the end of the season. The Iceland international, who turned 27 on Monday, arrives from Spanish top-flight side Real Sociedad de Futbol and will wear the number 27 shirt at the WWK Arena. He spent the first half of this season on loan at Greek side Olympiacos FC. "It’s a dream come true to play in the Bundesliga," said Finnbogason after sealing a move to a sixth club in the past five years. "The conversations I had with the club's representatives showed me that this is exactly the right place for me. I'm looking forward immensely to the challenge of playing for Augsburg." "We've kept a close eye on Alfred in the last few years and we're delighted to have signed him," added sporting director Stefan Reuter. "He has qualities that will be a valuable addition to our team." The 30-time international, who is set to represent his country at UEFA EURO 2016 this summer, could make his debut at FC Ingolstadt 04 this weekend. In other transfer news, Die Fuggerstädter also confirmed the departure of Slovenian striker Tim Matavz to Italian side Genoa CFC on loan until the end of the campaign.